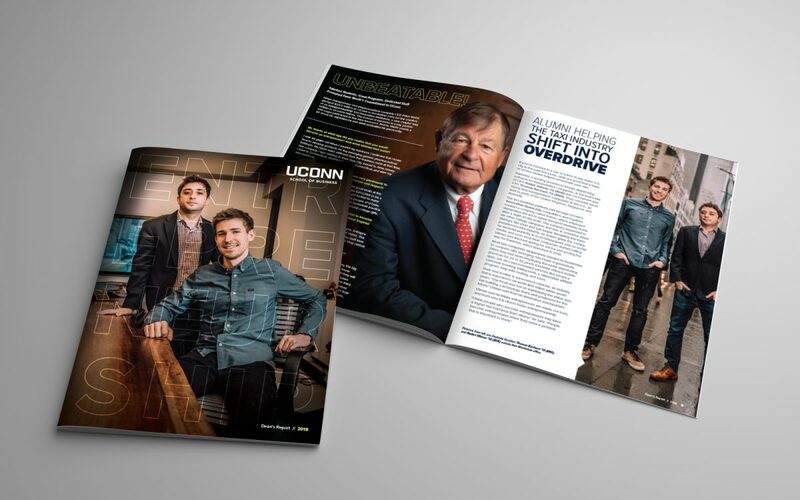 When entrepreneur Peter J. Werth pledged more than $22 million to the University of Connecticut last winter, for the creation of the Werth Institute for Entrepreneurship & Innovation, a new chapter was written in UConn’s history. The School of Business is committed to playing a prominent role in this new and exciting endeavor. We have a proud history of supporting fledgling entrepreneurs as they strive to fulfill their missions, and create new products and businesses that serve us all. Mr. Werth, who is a long-time resident of Connecticut but isn’t a UConn alumnus, said he decided to create the Institute here because of the talent of the students, our state’s commitment to entrepreneurship, and the passion of faculty and staff dedicated to entrepreneurial success. In the 2018 Dean’s Report, we share a few of our many student and faculty entrepreneurial successes. We see ourselves as integral partners in the efforts to bring business, engineering, medical, agricultural and other innovations to the marketplace. Please also take a few minutes to meet our exceptional faculty whose research discoveries, passion and enthusiasm are shaping their professions. We hope you enjoy this glimpse into what makes the UConn School of Business, and our university, a remarkable place.